What does the AirBnB host, the Uber driver and the TaskRabbit handyman all have in common? Flexibility to work when they want, where they want and how they want. The freelance economy has been a sweet song to our digital generation. We crave a work-life balance – and control of our hours and projects – because self-care isn’t just important, it’s crucial. We see on-demand gig apps as a way to earn money on our own schedules, rather than through professional accord. But alas, large firms and established industries are catching on to the melody of this rapid elasticity – to quickly scale talent resources, depending upon immediate needs. That’s right, the gig economy isn’t just for startups anymore. Freelance workers have graced the doors of Fortune 500 companies, thanks to two-sided market platforms such as UpWork and Fiverr. In the past year, the total number of projects sourced by Fortune 500 companies using such platforms has increased 26% – according to a report by the Oxford Internet Institute. After all, utilization of talent resources on per-project basis gives companies flexibility to respond to unforeseen changes, save on costly on-boarding overhead, and bring fresh new ideas to the existing culture. Who wouldn’t be attracted to this tune? How do highly regulated industries such as healthcare fit into this equation? We’re glad you asked. The healthcare industry is no stranger to hiring freelance employees. In fact, once upon a time the term “locum tenens” assigned a grudging, less desirable ring to the freelance healthcare worker. But now, temping is an attractive and lucrative option for doctors, specialists, and nurses. With America’s aging and growing population, and higher demand due to more people having access to healthcare through the Affordable Care Act, medical centers have the (delightful!) pressure to keep us healthy. That said, to all our freelance healthcare professionals out there – we thank you for your service. And we understand why freelancing is desirable for your individual needs. You’re like us, real people with real lives. Your daughter’s softball team is on a winning streak and you need to be at her final game. Flu season approaches, you catch the sniffles. And what about that dinner party you’ve been promising your new neighbors? A set schedule isn’t always conducive to your lifestyle; and that shouldn’t get in the way of your professional duties and aspirations. That’s what staffing agencies are for, right? Not really. Sure, healthcare professionals could receive some scheduling freedom through staffing agencies. But these organizations come with limitations. According to a survey of travel nurses, the two most important things for nurses when they’re considering an assignment are pay and location. The staffing agency is a costly middleman. Currently, care providers pay one wage to agencies and in turn, nurses sometimes only receive 50% of that wage. And there’s usually lack of details about the role assignment and facilities. Many times, nurses don’t know what they’re signing up for until they arrive. Let’s put control back into the hands of nurses – to receive a more fair pay and transparency for their care. There’s a better way to provide care – not just for your patient, but also for yourself, your family, and your lifestyle. 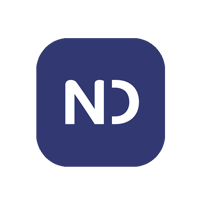 NurseDash, a new technology app, is removing the need for an agency by bringing flexibility to your fingertips. – MATCH for your busy schedule: Only select shifts when you want them, there are no minimum hours required. After you select a shift that fits your desires, the care provider then receives your information and is able to access and accept instantly. – EARN more: Forget the costly middleman and earn more than working for a -traditional staffing agency. NurseDash connects you directly to the facilities that need your services at a fraction of the cost of a traditional staffing age, saving money for the facilities and earning more for you, the nurse. NurseDash empowers you to deliver better care to your patients – by finding your best assignment fit; and better care for you and your loved ones – by providing flexibility to create a schedule that works for your lifestyle. A recent study by the Conference Board found that fewer than 50% of American workers are satisfied with their jobs. However, 82% of independent freelancers report a high degree of job satisfaction. People want control of their income, projects, and hours, and the numbers dramatically demonstrate that freelance work is meeting this need. Let us help you bring fun and easy “work-life balance management” into your own hands. Learn more about opportunities at NurseDash!